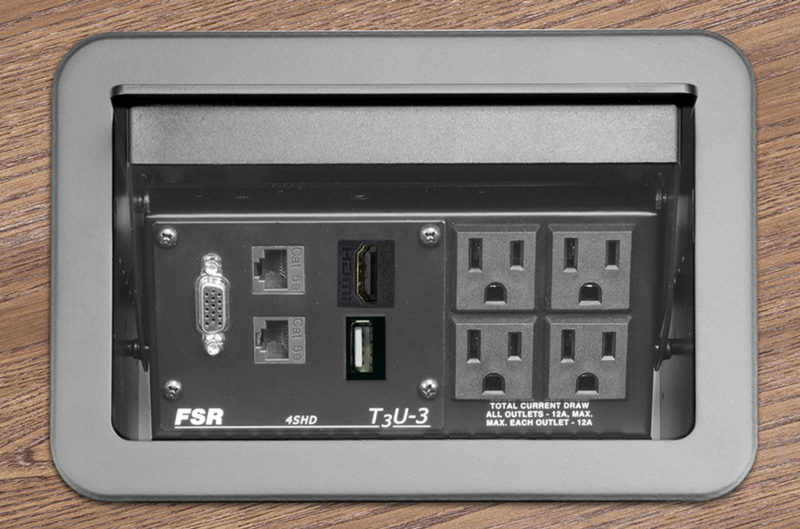 The FSR T3U-R-KIT is a multi-format table box that mounts flush in your table, when you need to plug in your connections the lid slides back down into the box and out of the way. The box comes in 3 colors to meet the look of your room; black, silver, or brass. The connections in the box are 4 power with a single 9' power cord, 1 HDMI, 1 VGA, 2 CAT6, and 1 USB. All the connections are female to female for ease of installation. Since the lid slides out of the way the connections can be reached from both sides of the table without a lid in the way. 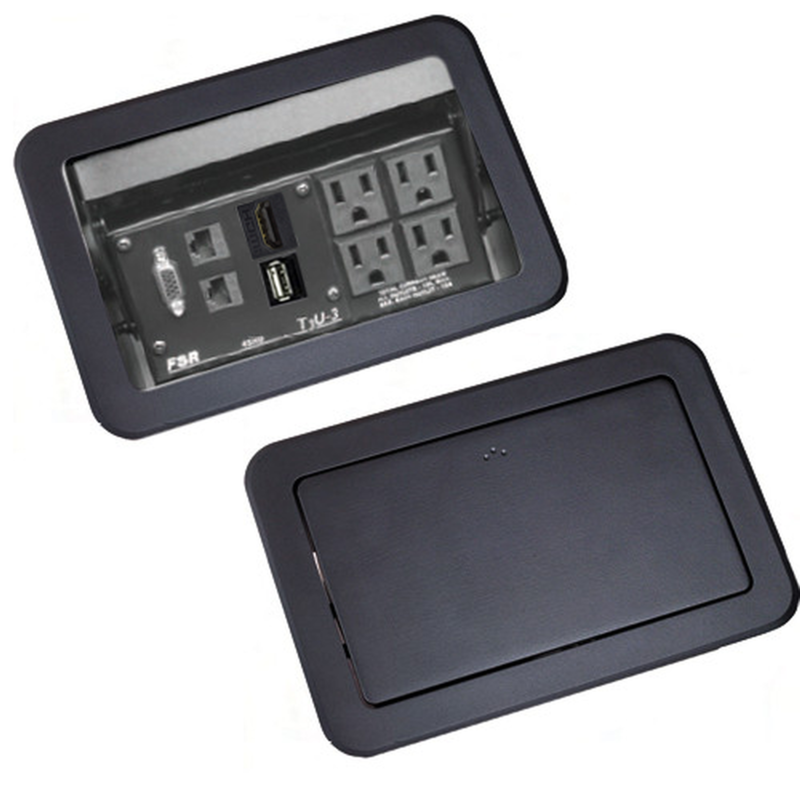 The connections in this box are customizable, to request a quote for a different configuration please call us at 888-999-3759, click here to email us, or via Live Chat. Table thickness: .75" to 2.75"